Instagram attracts users in droves and boasts a high interaction rate, making it the perfect platform for healthcare providers to build an audience and establish connections with potential patients. 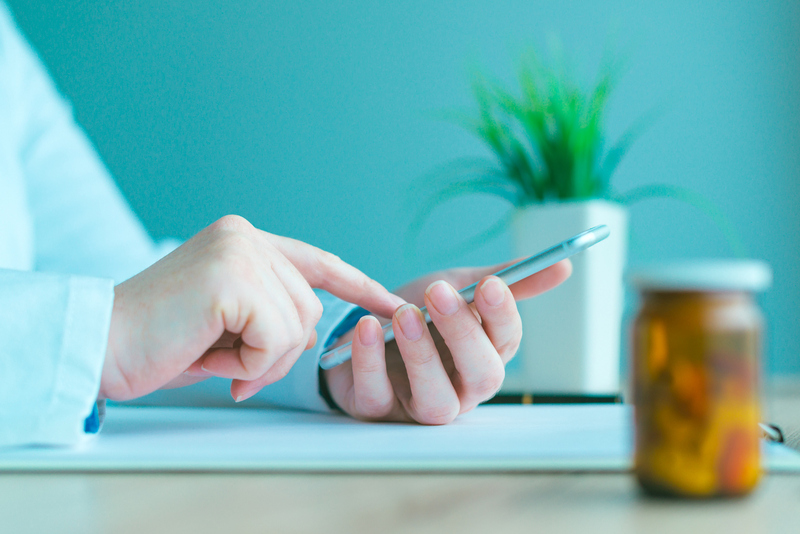 Most medical marketers are familiar with the benefits of social media advertising, but many are hesitant to invest in Instagram beyond paid media. Some HCPs may feel that making an Instagram account is personal rather than professional, but Deloitte reported in 2016 that healthcare consumers are increasingly seeking “greater personalization” and “more engaging digital experiences” from medical practitioners. In other words, connecting with patients on a personal level through engaging digital content directly benefits your bottom line, and an Instagram account is the perfect place to begin establishing your social media presence. Not only does Instagram boast over 1 billion monthly users, but 75 percent of them “take action” in response to the platform’s content. These elements make Instagrammers a particularly promising audience for healthcare providers, as users tend to interact more than those on other social media platforms, and demonstrate a widespread willingness to visit company’s websites, profiles, or product pages. Any HCP looking to boost their Instagram presence or get involved on the platform for the first time can learn from the doctors and nurses below who are pioneering a new engagement modality between medical practitioners and their patients. Despite reaching the highest possible ranking in public health — he was appointed the “Nation’s Doctor” in 2017 — U.S. Surgeon General Jerome Adams is accessible to his community, and the country at large, through his Instagram account. He has uplifted youth influencers advocating against e-cigarette use, posted photos of his family running together, and even shared his brother’s struggles with addiction to shed light on the opioid epidemic. The @u.s.surgeongeneral handle gets passed from one office holder to the next, so Adams did not build his following single-handedly. Still, he keeps his audience engaged by providing online content that is equal parts educational and personally meaningful. As Katie Duke points out, there are many famous doctors, but very few nurses who have gained the visibility and status of public figures. She has grown her social media presence in response to the lack of female healthcare (specifically nurse practitioner) role models. With her account @thekatieduke, Duke has amassed over 100,000 followers by publishing inspiring, honest, and relatable content. She frequently illuminates the challenges and rewards of working as a nurse while sending messages of female empowerment and body positivity. A self-described “Seattle pediatrician, mom, [and] author,” Wendy Sue Swanson shares science and healthcare information from her @mamadocmed account. She focuses on dispensing pediatric health tips, discussing innovative medicine topics, and advocating for digital health initiatives. Swanson’s profile successfully integrates with her brand messaging as a whole and prompts users to engage with content elsewhere — her posts frequently link to her blog and podcasts, which provide further information on relevant topics. Zubin Damania is an internal medicine physician turned stand-up comic and host of the live medical show “The Incident Report.” Damania uses Instagram to raise awareness about issues within the healthcare community. His memes — images with funny or clever captions — spark conversations about topics from the dangers of celebrity health advice to the misinformation spread by the anti-vaccination movement. Educated at UCSF and Stanford University, Damania has impressive credentials. But while the concerns he covers are serious, his @zdoggmd persona never is — his light-hearted, easily digestible content helps drive his 202,000 followers to engage with topics that matter while enjoying a laugh. Just as he splits his time between New York City and Dubai, aesthetic dentist Michael Apa divides his Instagram account, @doctorapa, between different genres: smile makeovers, travel photos, memes (dentistry-related and otherwise), and motivational advice. What Apa does well — besides aesthetic dentistry — is diversify his content to draw over a quarter of a million followers with different backgrounds and interests. Whether you’re looking for a joke, glimpses of the jet-setting lifestyle, or simply whiter teeth, you’ll encounter Dr. Apa’s page and hopefully find a reason to stay, increasing the odds that you’ll remember his services in the future.